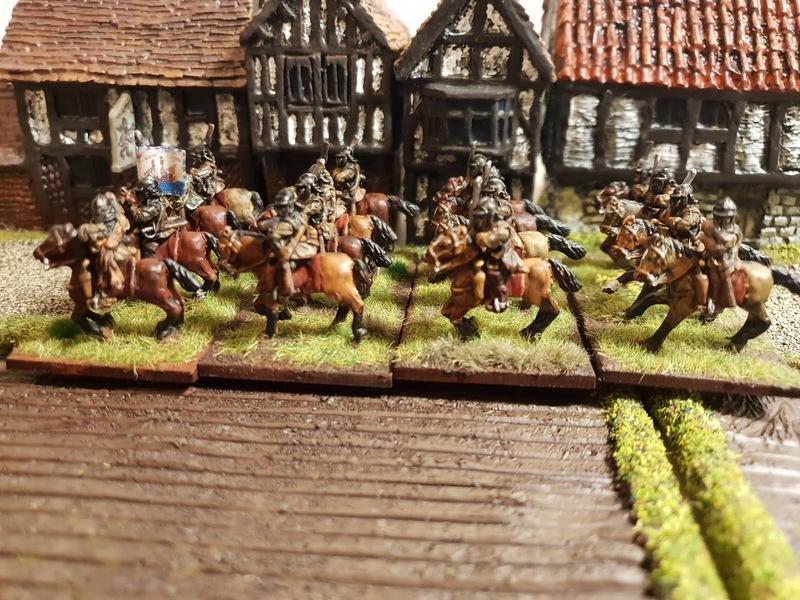 Another four regiments of horse for Parliament. Variations on a theme of brown. 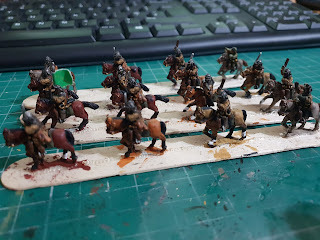 Realised that I used fourteen different browns painting these (if you include the horse tones). 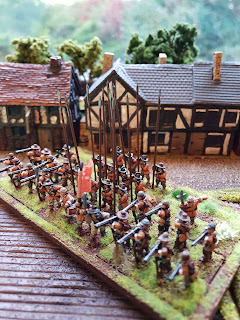 When based, with the earth base added I was really disappointed with how they looked, only after the greenery was added did I start thinking "yes, they're alright those". 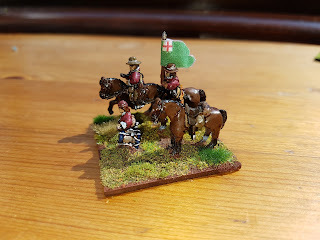 Flags from Maverick Models - not currently listed as available. Thank you Stuart for your patience with my continued requests to produce specific standards. 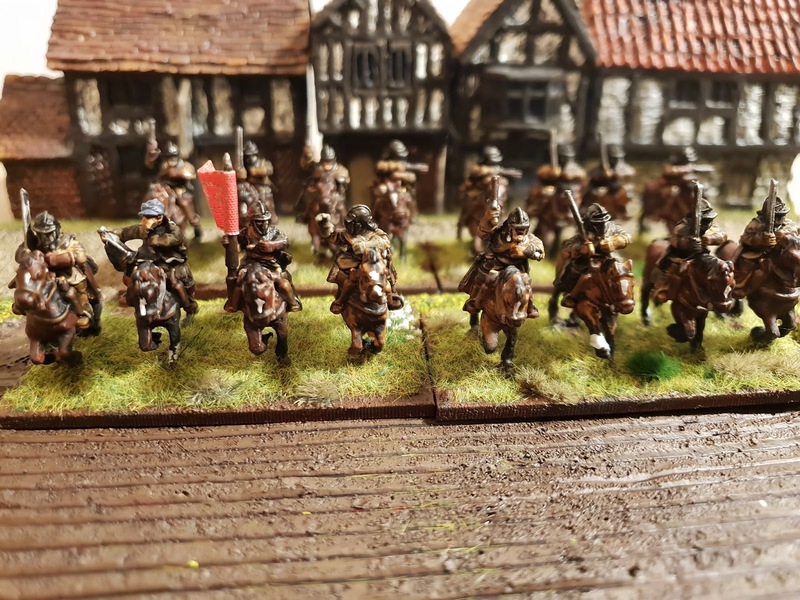 Half way through painting these four regiments I became a convert to headswapping, and I do confess to having become slightly evangelical about the subject. So, yes there are a few headswaps amongst their ranks (I particularly like the lobster pot with raised face guard). 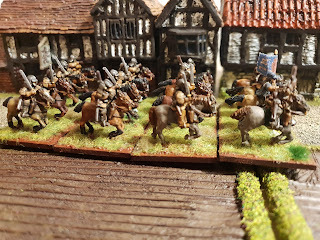 Part of the Eastern Association; fighting at Newark, the Siege of York and Marston Moor, before joining the New Model Army. 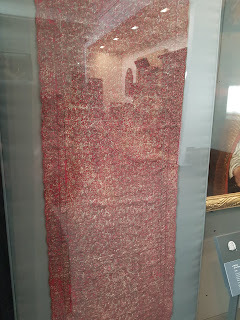 Part of Fairfax’s Northern Association, they took part in the Siege of Lathom House, Marston Moor and Ormskirk. 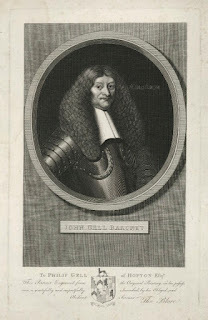 The fact that Dodding claimed pay as a Colonel of Foot, and as a Captain of Horse would suggest that the ‘regiment’ consisted of only a few troops of cavalry. 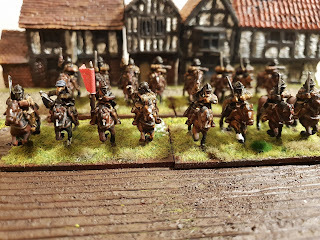 Fleetwood's Regiment of Horse suffered from an over zealous spray of varnish. 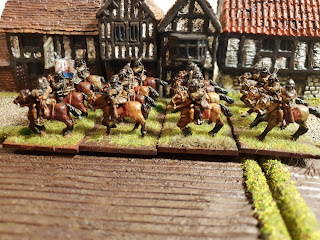 A number of figures suffered from a milky finish. salvaged by applying a coat of gloss varnish, drying them on a radiator, then a coat of brush on matt varnish. 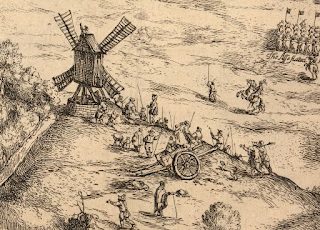 Part of the Eastern Association fighting at Newark, the Siege of York and Marston Moor before joining the New Model Army in 1645. 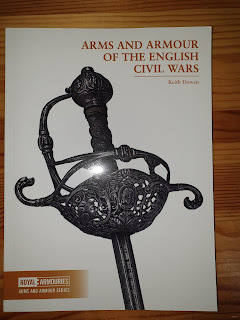 Part of the Eastern Association fighting at the Siege of York, Marston Moor, and Second Newbury before joining the New Model Army in 1645. 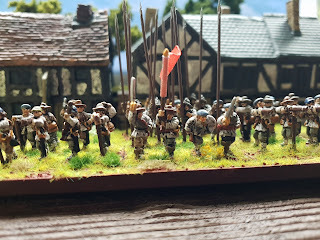 The Earl of Manchester's are fresh off the painting line - still need their cornet edges painting, a coat of varnish and basing. Looking great! I always think figures look at least twice as good based, as when on the painting strip. Many thanks Simon. The sculpts (and wash) do most of the work to be honest, the rest is just colouring in and staying inside the lines. Totally agree about basing, sets everything off even making 50 shades of brown look good. It’s a great period for ‘shades of brown’! 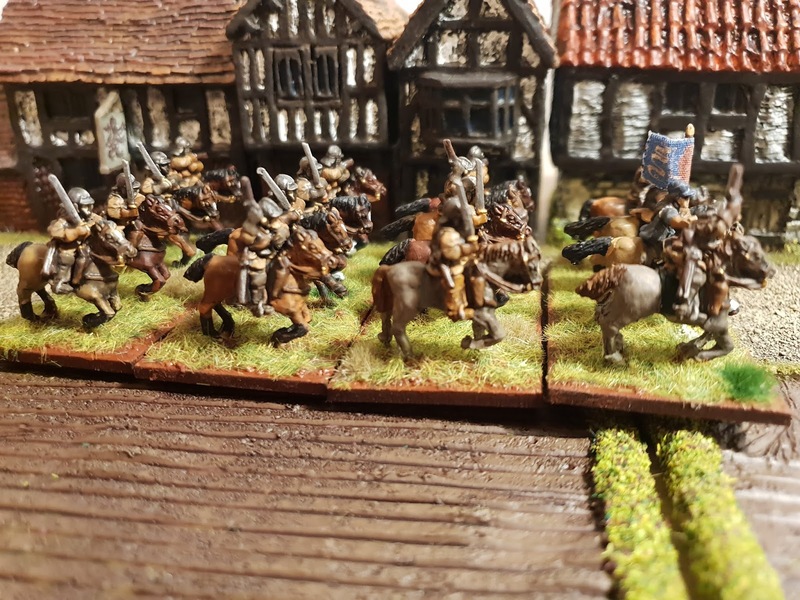 Those regiments of horse look splendid.